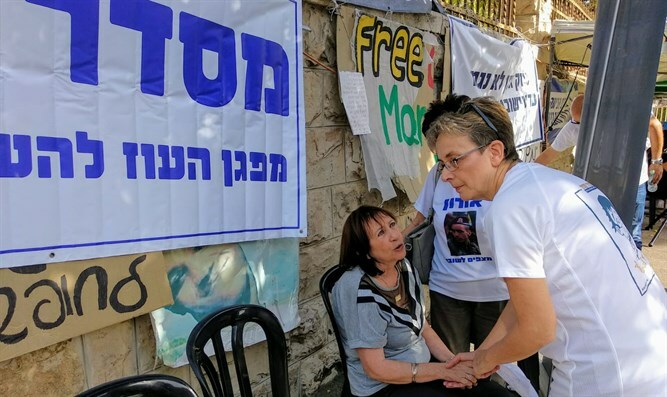 Bereaved families hold solidarity and support event with Shaul and Goldin families, fighting to bring sons back from Gaza. Some members of the Protective Edge family decided not to attend the memorial event on Mount Herzl, nor to participate in the state memorial marking the 4th anniversary of Operation Protective Edge's fallen. Instead, the families held an identification and support event with the Shaul and Goldin families, who are struggling to bring their sons Sgt. Oron Shaul and Lieutenant Hadar Goldin back from Gaza under the headline "Protective Edge isn't over until Oron and Hadar return." Zahava Shaul, Oron's mother, said at the event, "For four years I have no day and no night, and all the time I think about what's going on with Oron ... Hamas isn't telling us, and neither is the government of Israel. I call on the Israeli government: Enough, we can't stand it anymore. Take action." "Now Hamas is in trouble," Shaul said, "I have no problem giving them something, but it has to be for Oron and Hadar, you sent Hadar and Oron to the battlefield and you have to bring them back. I want my son Oron back. "I thank all the bereaved parents who came here to strengthen me instead of attending the ceremony at Mount Herzl," she said. 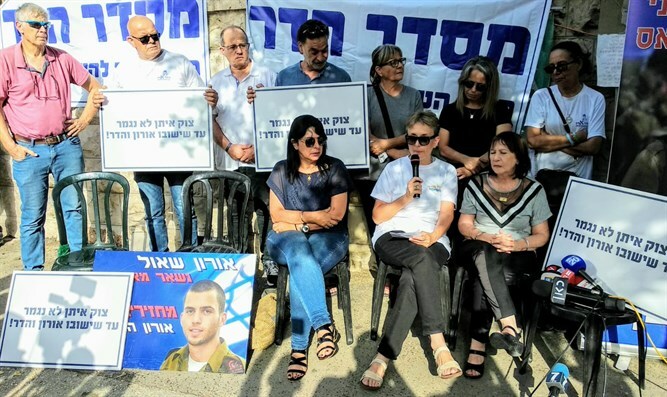 Leah Goldin, Hadar's mother, said at the event: "Operation Protective Edge isn't over until the last soldier returns home, and rehabilitating Gaza should only take place after all the soldiers come home."